Five years apart, two defenders made the journey from Mérida to Madrid, from the capital of Extremadura to the capital of España. It's a national record - a record of how unlucky a player can be. Ramón de Quintana, a center-back, holds the record for the most number of relegations as a player. Eight, to be exact - and one of them wasn't even a sporting relegation. It's a painful reminder of the player and his legacy - a calm, composed, tall, strong center-back who stood calm, composed, tall and strong through numerous team disappointments. The Girona native graduated from Damm and made his first team debut with Figueres in the Segunda in 1991. In 1992, the team came 3rd - a record high for the club, qualifying for the promotion playoffs but losing to Cádiz. But it is there where the heroics end. In 1993, Figueres went down on goal difference, tied with Eibar on head-to-head. Subsequently, Quintana went to La Liga club Osasuna, but was relegated again after the Navarrese club finished last. Subsequently, de Quintana moved to Madrid's Rayo Vallecano in the Segunda, earning promotion in his first season but being relegated in his third. With his following club, Mérida, he would suffer two relegations in three years, although the last one in 2000 was due to financial irregularities, as the Extremadura team had finished in sixth position in division two. 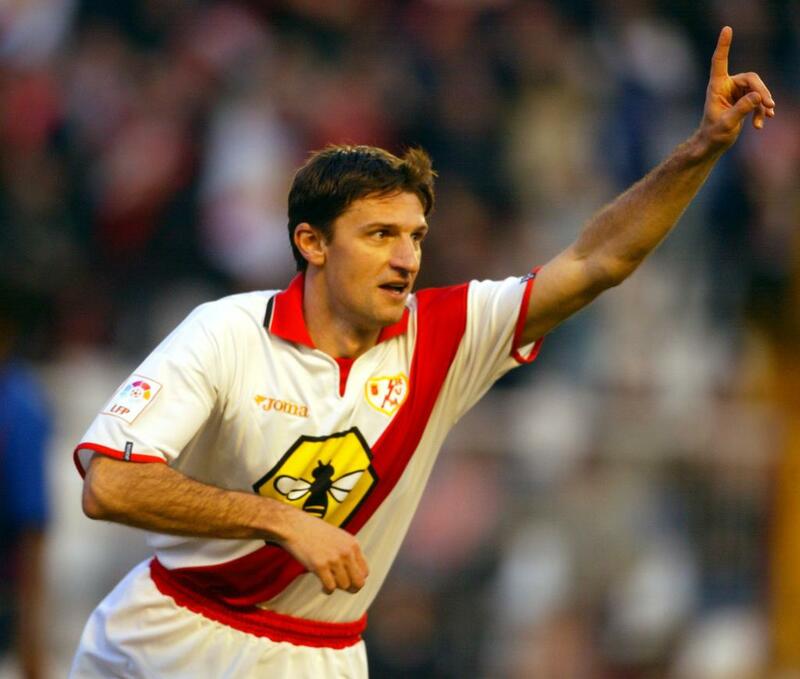 In the 2000 summer, de Quintana returned to Rayo, helping the side reach the quarter-finals of the UEFA Cup in his debut season - after they had been granted a spot in the European competition via the Fair Play ranking - but was again relegated in 2002-03, after which he left at the age of 31. De Quintana's last club was Cádiz, where he played for five years, winning the second tier in 2005 but being immediately relegated back. After only appearing in nine league games in the 2007-08 campaign, with the Andalusians dropping to the Segunda B, he retired from football at the age of 36, amassing totals of 458 matches and 14 goals in 17 professional seasons. His luck as a manager seems to be going the same way - he was Recre's assistant as they finished eighth in the 2013-14 Segunda, but his success with Sergi Barjuán ends there. In April 2015, Sergi was appointed manager of Almería with Quintana his assistant, but they were relegated from La Liga. The fate of the clubs after Ramón left them seems to show signs of bad luck too - Figueres never returned to the Segunda, were literally made to disappear by an investor and had to start all over again in the ninth division, Osasuna took six seasons to return to La Liga, Mérida were relegated to the Tercera in 2000 but never played again, Rayo went on to suffer a consecutive relegation and returned to La Liga after an eight year absence, and Cádiz are currently playing only their third Segunda season since 2008. Moreover, Recreativo were relegated the very next season and underwent serious economic problems, for which they had to organize a campaign to raise money (Liberos del Decano), and Almería nearly got relegated consecutively the following season. Maybe sometime in the future Ramón de Quintana will be synonymous with defensive prowess rather than taking teams down with him. But the opposite is true of a signing Rayo made from Mérida five years before, in 1995. José María López will always be known as the left-back who didn't attract the yellow T-shirt of Cádiz but the yellow card in the referee's pocket. The Madrid-born football rose through the ranks of Real Madrid, playing in the Castilla from 1986-89, before Logroñés gave him his La Liga debut. However, he was no more than a rotation option, playing 65 games over three seasons, and dropped down to the Segunda with Mérida in 1992. This time, he became an undisputed starter, helping the club to promotion in 1995, and clocking 2199 minutes during the 1995-96 La Liga campaign which ended in relegation. 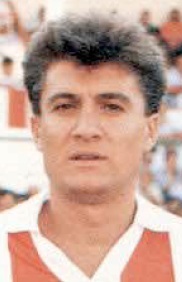 Ramón de Quintana has suffered relegations in consecutive seasons and José María López is no different - he would sign for Rayo Vallecano and became an undisputed starter for the 1996-97 season in the top flight, but the season ended in relegation. However, in the process, he picked up 17 yellow cards - joint-third highest in La Liga. He would go on to play for Rayo Vallecano in the Segunda for one more season, before playing for Leganés in the same division for three more seasons.